The Mobile Therapy Centers story starts over 10 years ago when a loving parent had an all too common dilemma. How to get much needed speech therapy for his child during a time of day that didn’t interfere with his work responsibilities or disrupt his son’s school schedule. 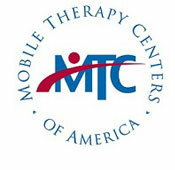 From there, Mobile Therapy Centers of America, LLC or better known as Mobile Therapy Centers was born. A private practice with a progressive service delivery model, where the therapists come to the client. Over the last 10 years, Mobile Therapy Centers has evolved from a single therapist offering a single service to employing over 40+ health professionals, who provide a multitude of high-quality customized therapeutic services throughout Illinois, Wisconsin, and branching into other states. Mobile Therapy Centers office is based in the Chicagoland suburb of Libertyville and is a private provider of ABA Therapy, Speech Therapy, Occupational Therapy, Behavioral Therapy and Counseling services for children, adults and families. The therapy services are provided in childcare centers, private schools, in-home and our Chicagoland offices. Research shows integrating any type of therapy within a natural environment yields higher retention rates, increased client motivation, and faster progress. A child’s frame of mind is more inclined to learn when seen during the day within a childcare or school setting. Many children have a strong sense of empowerment and independence within their school setting which further increases the productivity of their session.